One afternoon, my girls and I were at the park near our house when we heard another mom speaking French with her two daughters. We struck up a conversation, and I told her my brother had just moved to France and that we were planning a trip to visit him. 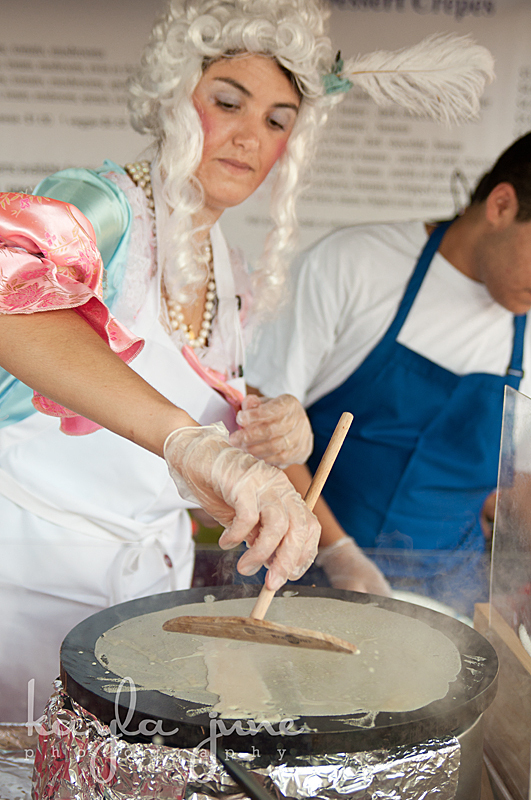 She explained that she had just moved to Jacksonville and was thinking of starting a crepes business. I was lucky enough to be invited over for a taste test soon after. Fast forward not so many months, and she's in business! 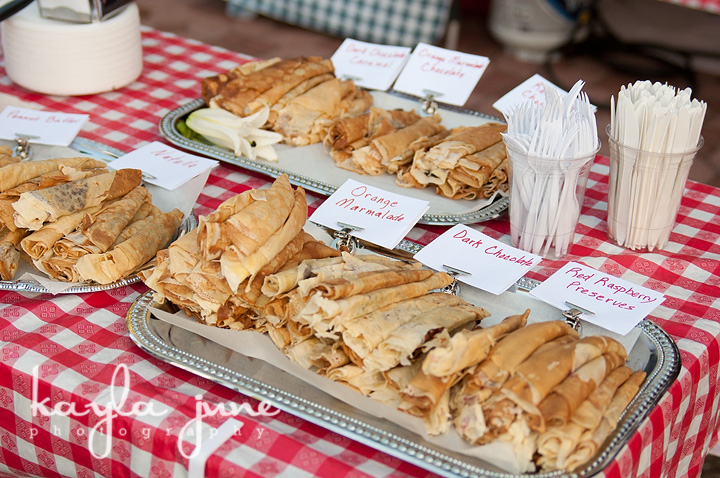 Little Family Crepes is at the Riverside Arts Market most Saturdays, but Lucie's real goal is to increase her catering business. 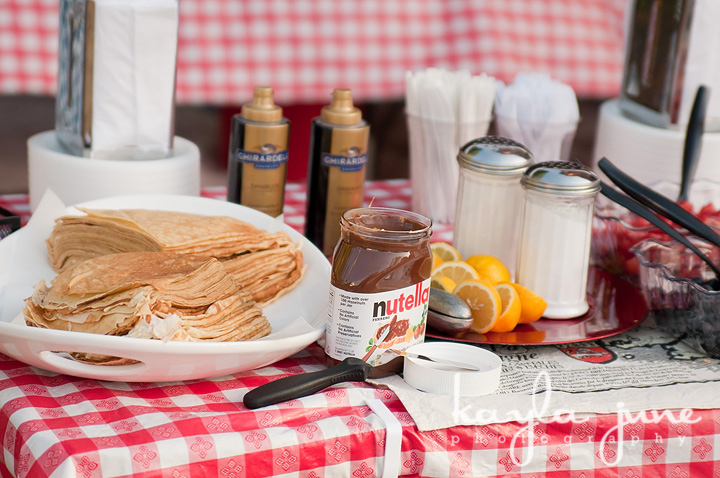 We had her set up her crepes station at C's birthday party, and the kids and adults ate them up! 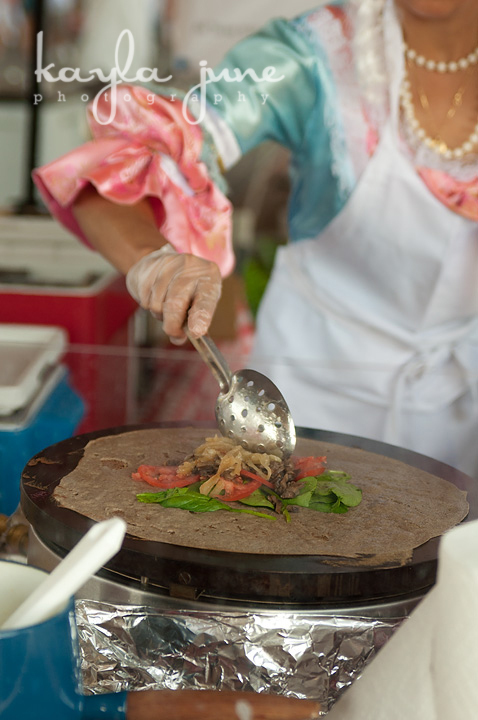 Lucie is constantly thinking up new fillings for her crepes and savory gallettes, my favorite. This weekend, she's doing a gallette with brie, caramelized apples, arugula, and pecans. You know where to find us on Saturday--in line at the Arts Market! Last month, Jacksonville celebrated the 400th anniversary of the arrival of the French to Florida with a week of festivities. Lucie asked me to photograph one of the events--a reception at the Jacksonville Historical Society--where she served crepes dressed as Marie Antoinette. These are some of the shots from that day and a few from the Arts Market as well. 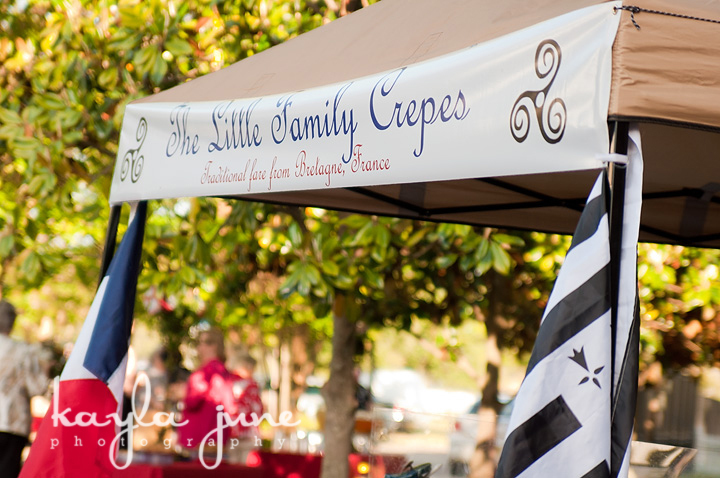 If you haven't tried Little Family Crepes, you need to!